← You’re invited to the 2015 Conservancy Dinner (9/27)! Announcing the 2015 TLRC College Scholarship winner! 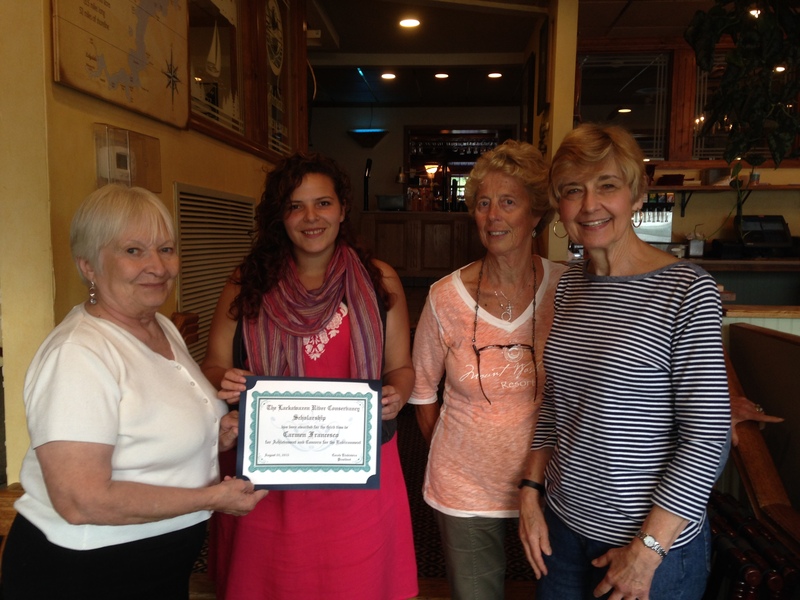 Carmen Francesco is the 2015 winner of The Lackawaxen River Conservancy Scholarship for College Students. Carmen attends Prescott College in Prescott, Arizona where she is entering her junior year. She is a 2013 graduate of Honesdale High School. Carmen spent two-months this summer in an internship in India. She was there under the auspices of Vidhayak Sansad, a non-profit organization that works for the socio-economic empowerment of deprived peoples in the Maharashtra region of India. While she was there, Carmen worked at a girls’ school. In addition to teaching and helping with English documentation, she helped the girls create a garden for vegetables and flowers, and she wrote bios for each of the 230 girls attending the school. Prescott College specializes in experiential education in the liberal arts, the environment and social justice. Carmen is currently pursuing a double major in Environmental and Social Justice, and Secondary History Education. During fall semester, Carmen will work in an internship at the Church Center for the United Nations in New York. While there, she will be running campaigns and educational seminars for climate justice. She will carry her full complement of courses through independent studies, and will return to the Prescott campus spring semester.